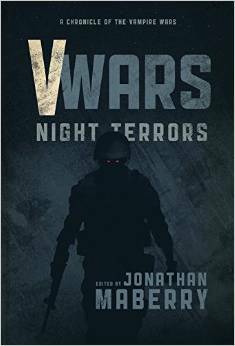 V-Wars: Night Terrors collects all-new stories from the reporters embedded with the beats (humans) and the bloods (vampires). Each tale explores the nature of terror and peels back another layer of our comfort. Each tale bares our throat to the bite. 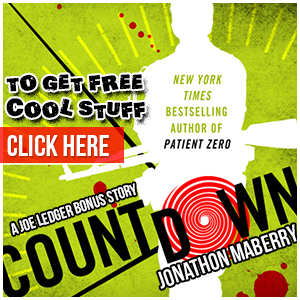 New York Times Bestseller Jonathan Maberry and his team of front-line storytellers bring you all-new tales of horror and heroism, of pain and delight, of deadly despair and soaring courage. The war between beats and bloods is blazing. Pick a side.